I’ve been having a lovely time spinning alpaca given to me by a generous friend. She gave me samples of three different fleeces, white, black and what she rather fetchingly calls ‘champagne’. I’ve been combing it and spinning it two ply and I’m very happy with the results. I told my friend how lovely I thought the alpaca was, and she gave me more! 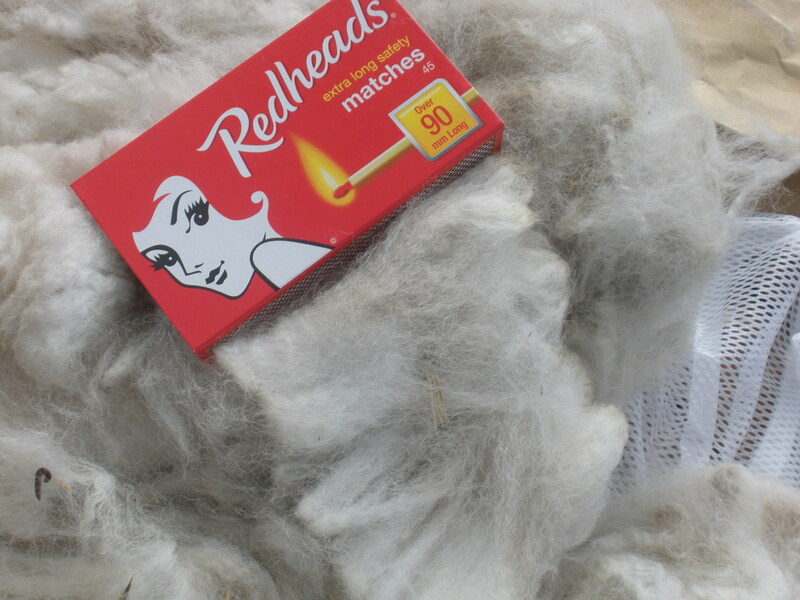 I have spun alpaca before, sometimes in quite a large quantity, but this has the longest staple I have ever seen, about 90 mm (these are the 90 mm matches I use to light to the dye pots–extra long. I am getting more interesting colours on silk thread (wrapped around the cards at left) than ever before. 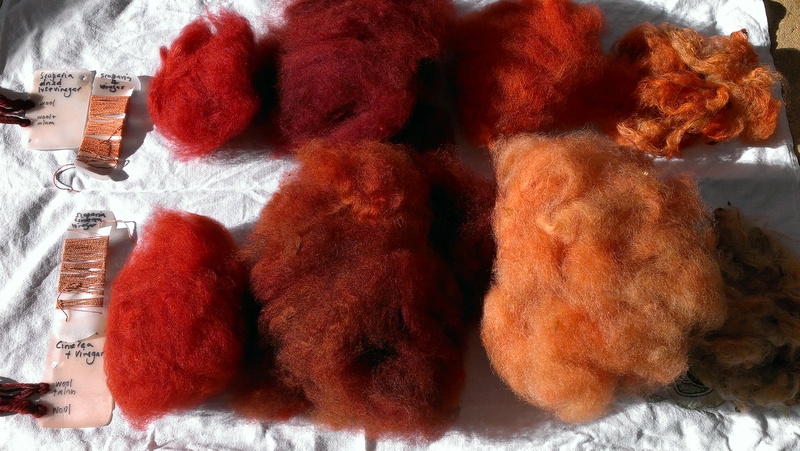 My friends agree that the alpaca on the left, first through the dye bath, is red, then there is grey corriedale (second pass, same dye bath), more alpaca (third pass, still the same dyebath) and some still damp alpaca (fourth pass). 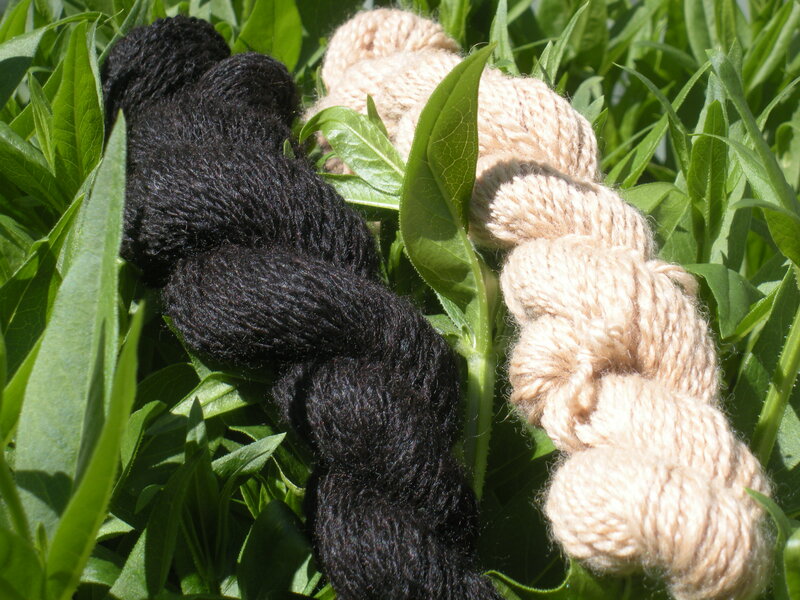 Three cheers for the potential to spin alpaca of many colours!